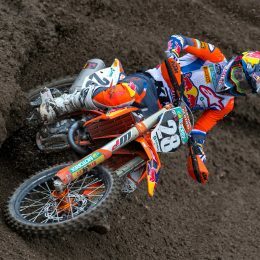 Unlike motocross where a rider can be a lot more choosy and personal with his protective gear (knee braces? neck protection? back protection?) a MotoGP™ racer is a little more restricted. 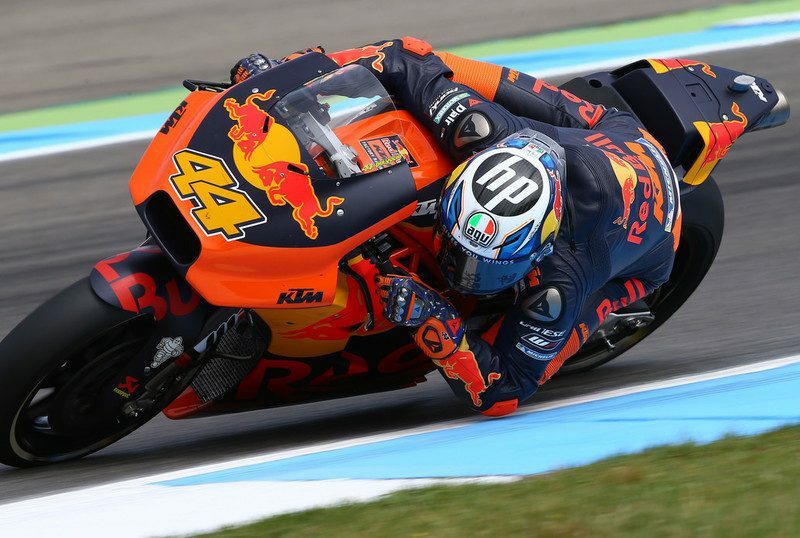 They might look like fire-breathing brutes but standing alongside the KTM RC16 reveals that it is a surprisingly compact motorcycle, and the same could be said for the other bikes on the grid. There is little room for big movement. The rider is a fundamental component of a design that can involve millions of euros spent on aerodynamic research and fine-tuning. It means the athlete has to submerge into the lines and form of the race bike and become a seamless unit of speed. 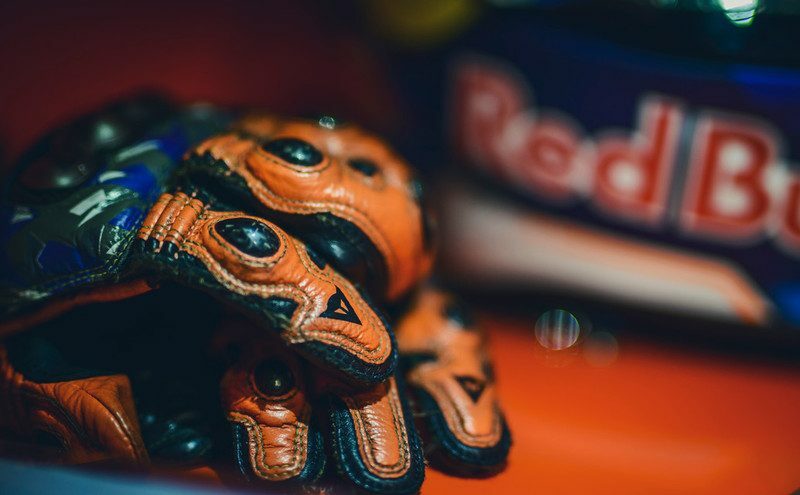 Helmets, reinforced boots, gloves and leather suits (kangaroo and bovine materials used for resistance and flexibility) all contain extra armored-elements to cope with the sort of crash that can see a rider ejected onto the track and into the gravel at more than 200 km/h (former racer now musician and TV presenter James Toseland once rated his gloves as the most important item, reasoning that a rider’s hands are usually the first thing that hit the ground and many ex-competitors crooked fingers will tell the tale). 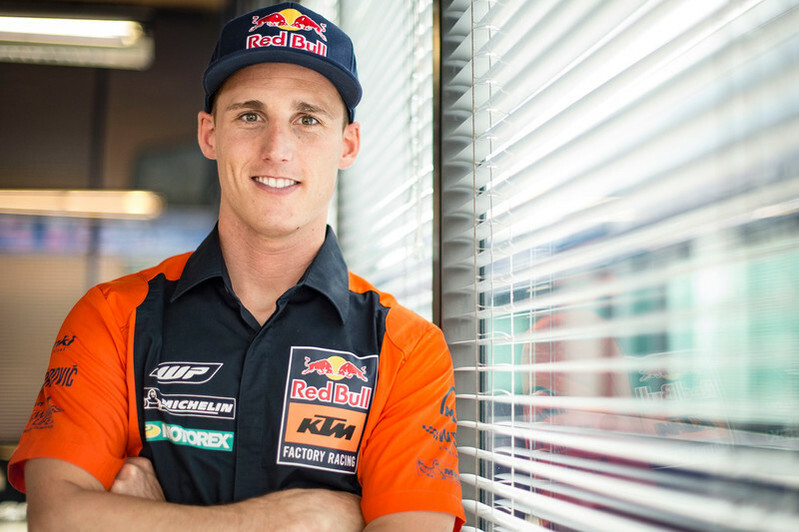 On the subject of arms Espargaró – who has been part of Italian company Dainese’ program for four years now – has even been able to address the subject of ‘arm pump’ with a series of tight strips that almost pinch the skin and provide a form of relief. 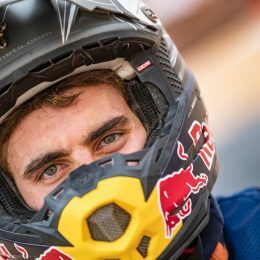 South African motorcycle safety gear pioneers Leatt spent three years developing a neck brace for road racing that was actually tested by Pol’s brother Aleix, also competing in the MotoGP™ class. The difficulty with the small unit was finding the balance between functionality and practicality (that aerodynamic equation again) and the project was temporarily shelved last year. Since that time there has been very little in the way of innovation for riders. 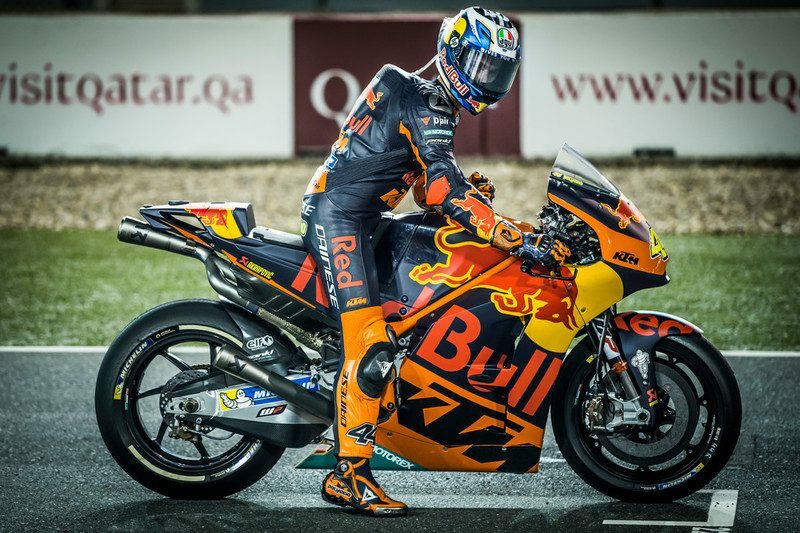 The main evolution has been in the development of airbag technology with Alpinestars forging ahead with this remarkable provision and firms like Dainese also pouring time and expertise into R&D. 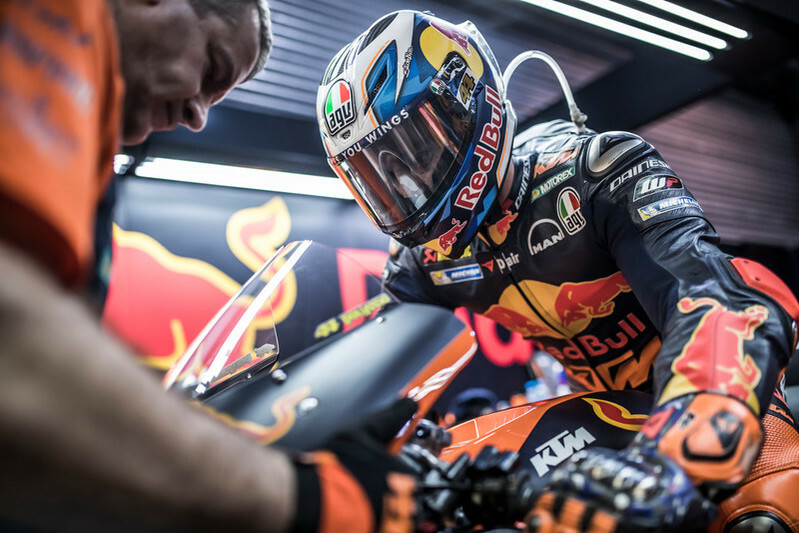 The clever system works thanks to a complicated set of algorithms and sensors installed into a small pack within the leather suit and fires instantaneously when a rider is in the first milliseconds and phases of an accident. Alpinestars have now brought their discoveries to the street motorcycle market and the protection is used by most of the grid in MotoGP™. It is tricky to see where racing protection can step next. Materials will get stronger or last longer and the use of monitory sensors will let experts know exactly the physiological details for a rider during a race weekend. 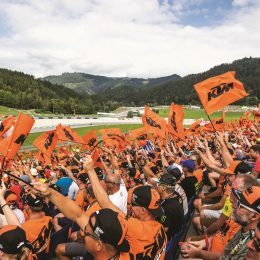 The search for improvement will continue in the hands of people like Alpinestars and Dainese and it can only be fascinating to see what they can come up with in the next ten years and the following generation of Grand Prix.